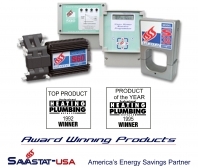 Savastat-USA is your Energy Saving Technology Partner, providing proven solutions for boiler energy savings, scale removal, and water quality with the Savastat family of products. Chicago based SAVASTAT-USA is the national US distributor of Savastat products that effectively and affordably deal with the issues of Energy Consumption, Lime-Scale & Water Quality, and in protecting Mission Critical Equipment. We meet the needs of our clients with these types of issues by utilizing our proven technologies to resolve these kinds of problems. Our goal is to provide our clients with the most effective and affordable solutions available to address these important issues. As the Savastat Products Distributor for the United States, we provide solutions that our competitors simply can not. Energy consumption is a key factor of any organization's budget and has a direct impact on the bottom line. SAVASTAT-USA specializes in "fit for purpose" applications for the Private Sector, Federal, State, and Local Government, and Educational Facilities that provide proven solutions to improving budgets by lowering energy costs. We also work with facility management firms and performance based contractors by providing them the technologies that enhance value added services by providing greater margins of energy savings to their clients. We help our client's lower their overhead costs by finding ways to reduce their operational costs by implementing our energy efficient products. The Savastat line of products achieves these goals because when implemented, our solutions yield immediate results while also effectively extending equipment life and reducing facility equipment maintenance. The results of utilizing our products and can be readily tracked and verified. With above average ROIs, many of our clients experience positive cash-flow within 12-24 months after implementation. Our No Cost, No Obligation Site Analysis provides our clients with a reliable and efficient process of determining their needs and potential savings. The results of the analysis also establishes a plan for implementation of our energy efficient control systems, water conditioning equipment, and facility related solutions in a timely and cost-efficient manner. Implementing our technologies not only reduces energy consumption but has the added benefit of helping the environment by substantially lowering CO2 emissions generated by heating systems and reduces or eliminates the use of harmful chemicals used for equipment maintenance. This is an important benefit that helps protect our future, and the future of generations to come.